Located in the Smoky Mountains of Western North Carolina, the charming Haywood County often is over-shadowed by the eclectic city of Asheville (approximately 25 miles east of Haywood County). With five unique towns (Canton, Clyde, Lake Junaluska, Maggie Valley and Waynesville) Haywood County welcomes visitors to stroll their charming downtowns, shop at locally owned small businesses, sample craft beers from four breweries, indulge in farm to table meals, and be inspired by the breathtaking natural scenery of the Great Smoky Mountains National Park, Blue Ridge Parkway, and the Pisgah National Forest. I have never visited Western North Carolina prior to this trip, my past visits to North Carolina have been mainly to the Outer Banks. I was excited to experience an authentic mountain getaway and was pleasantly surprised at the wonderful amenities throughout Haywood County! Maybe it was the fresh mountain air or the welcoming locals, either way, I know I will be back to experience more of what Haywood County has to offer! The first known group to settle in this area were the Cherokee Native American tribe (first recorded in the 1700’s). But with the influx of the British soldiers and American Colonists, the Native Americans were slowly pushed out of their land. In 1776, over 2,500 British troops were sent to this region to “deal with” the rebelling Native American tribe. Hundreds of Cherokee and British troops died, and numerous Cherokee Indians moved further west to avoid the invading British troops and American Colonists. The area surrounding Haywood County has rich Native American History, to learn more I would suggest a day trip to the Museum of the Cherokee Indians in Cherokee, North Carolina. In 1780, soldiers settled into this area. 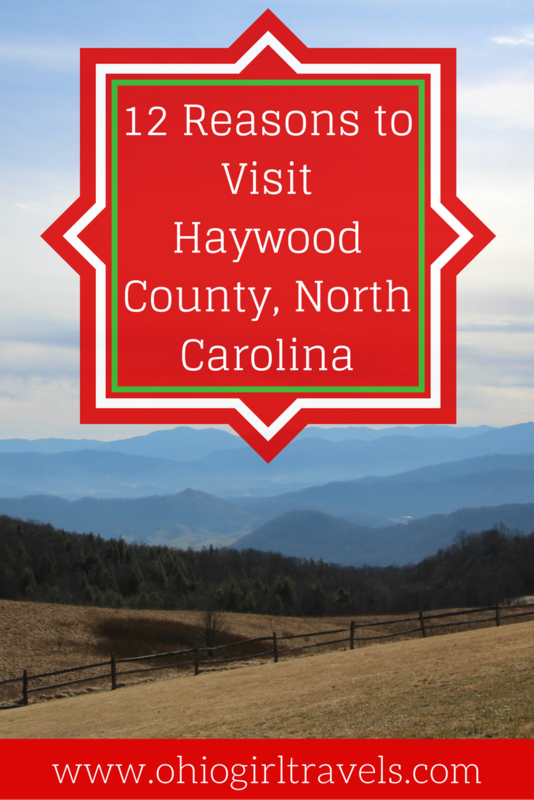 Haywood County was formed in 1808 and named after the treasurer of North Carolina (from 1787 to 1827), John Haywood. 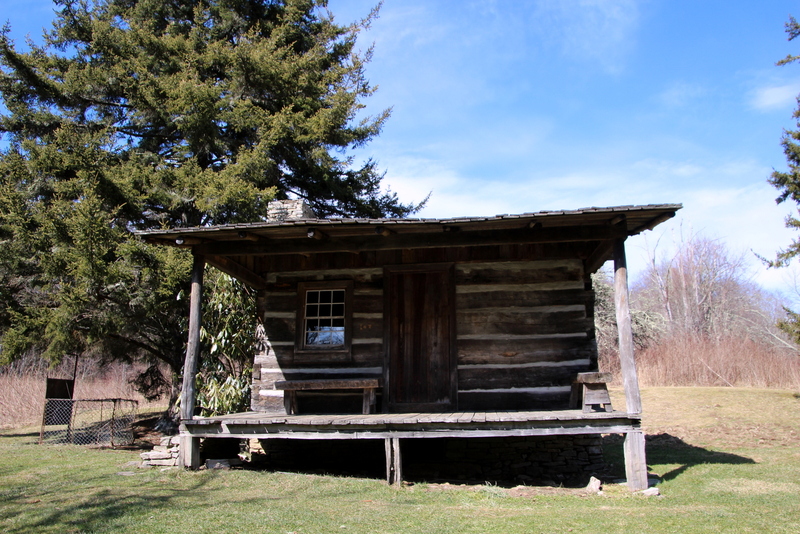 With deep roots in the mountains, visitors can find American Colonial, Appalachia, Bluegrass Music and Civil War (in fact, the last shot fired of the Civil War east of the Mississippi happened in Waynesville on May 9, 1865) history throughout Haywood County. Looking for stunning scenery? Then look no further than the breathtaking mountains and valleys of Haywood County! With numerous waterfalls, the magnificent mountain peaks of the Great Smoky Mountains National Park, the Blue Ridge Parkway known as “America’s Favorite Drive” and the Pisgah National Forest (which has over 500,000 acres! ), nature’s beauty is abound! 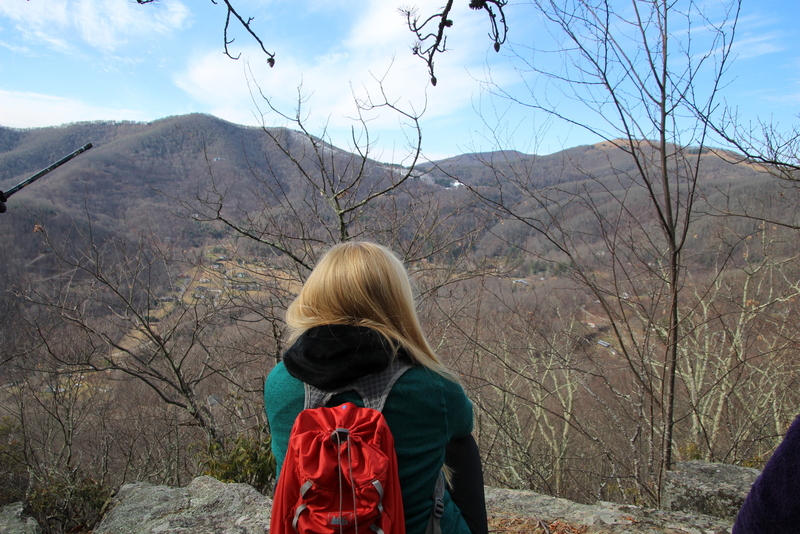 An outdoor enthusiasts dream, Haywood County offers hiking, skiing, snowboarding, cycling, fishing, horseback riding, golf, white-water rafting, kayaking, paddleboards, and motorcycle touring, there truly is an outdoor option for every visitor! With abundant natural environments, wildlife and plant species flourish in Haywood County. The pristine conditions of this environment are perfect for wildlife such as black bear, elk (reintroduced into Cataloochee Valley in 2001 and are now thriving! ), white-tailed deer, wild turkey, numerous species of birds, over 30 species of salamanders (the Great Smoky Mountains National Park has been called the “Salamander Capital of the World”), and various fish species populate this diverse habitat. 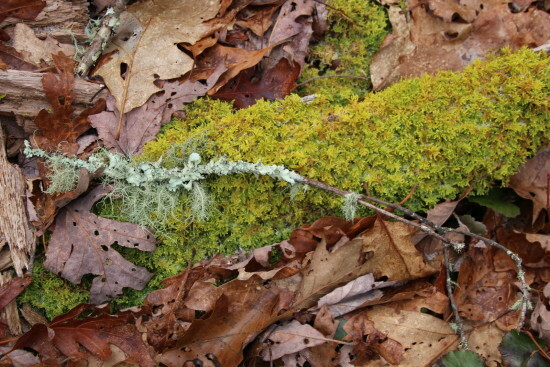 With variations in elevation, rainfall, and temperature, over 1,600 species of flowering plants, over 100 native tree and native shrub species, and thousands of non-flowering species such as moss, fungi, and ferns thrive throughout Haywood County’s natural landscapes. 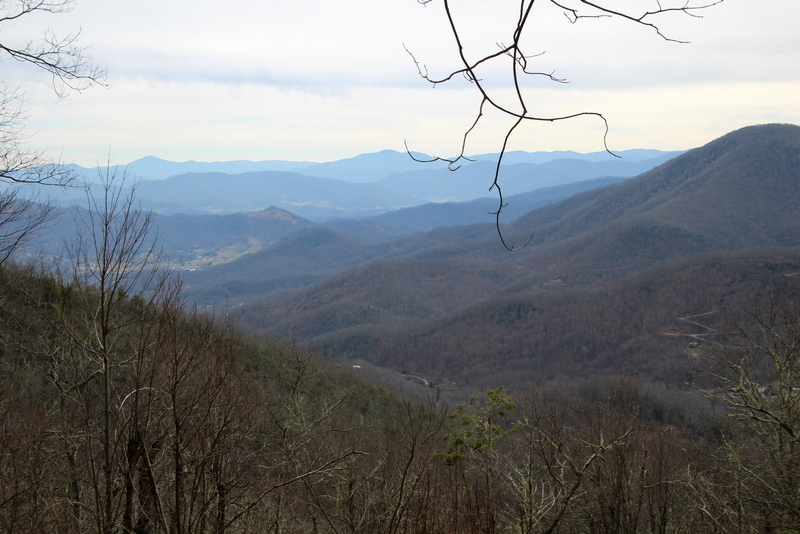 Haywood County boasts hundreds of miles of trails within thousands of acres of the Smoky Mountains. All levels of hiking trails from easy to moderate and difficult can be found here. Hikers can take short day hikes, weekend hiking excursions or week-long adventures. Hiking can be done year-round, with each season providing differing views and plant and wildlife species depending on the time of year. 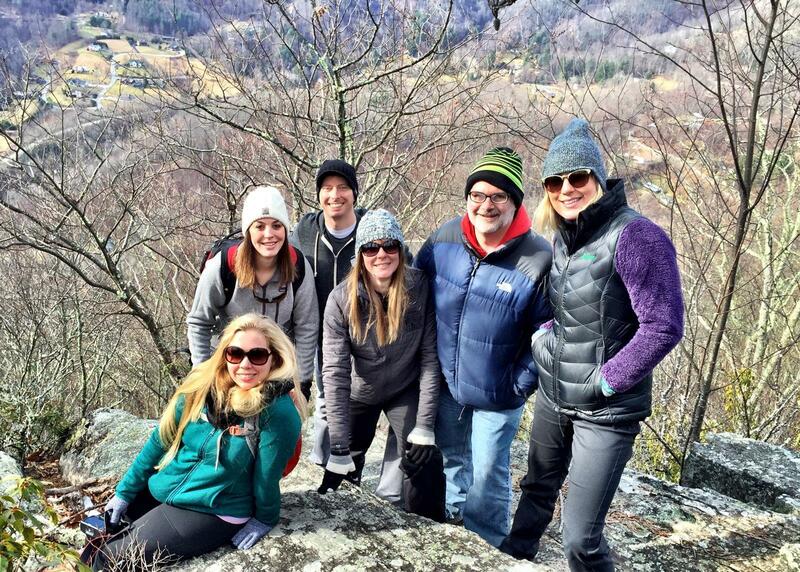 Of course the Smoky Mountains are the perfect backdrop for ski enthusiasts! 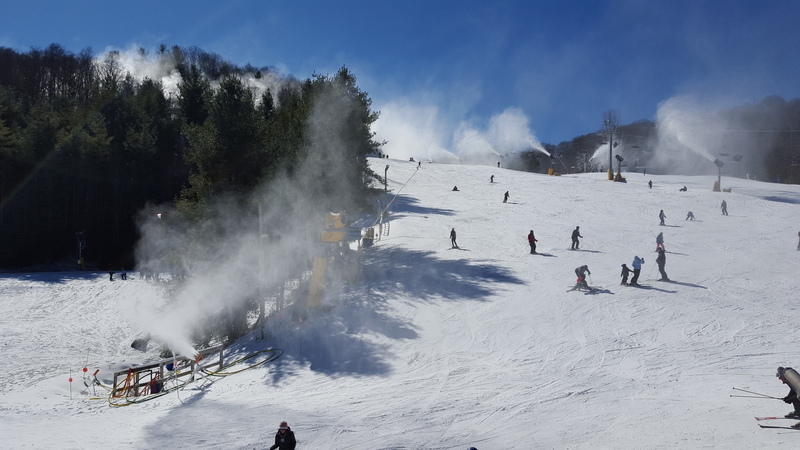 Cataloochee Ski Area offers a variety of slopes and trails for skiing, snowboarding, and snow tubing. Whether a beginner on the bunny hill or a ski expert on a black diamond slope, every level of skier can enjoy the plush snow of Haywood County. The Cataloochee Ski Area has one of the longest ski seasons on the east coast. With fantastic views of the surrounding Smoky Mountains, an elevation of 5,400 feet, and 18 slopes and trails, the Cataloochee Ski Area is the perfect winter playground. For over 75 years this family owned ranch has had a long history in Haywood County. Built in 1933 by Tom and Judy Alexander, the third generation of the Alexander family still operates the ranch today! 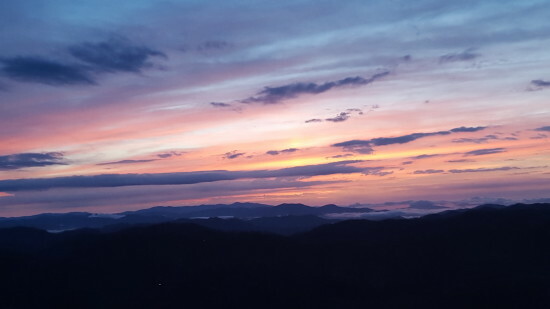 With its 5,000-foot elevation and its location bordering the Great Smoky Mountains National Park, spectacular views invite visitors to marvel at nature’s beauty at every spot on the ranch. Accommodations range from rooms in the main Ranch House to individual cabins that can sleep two to eight people. 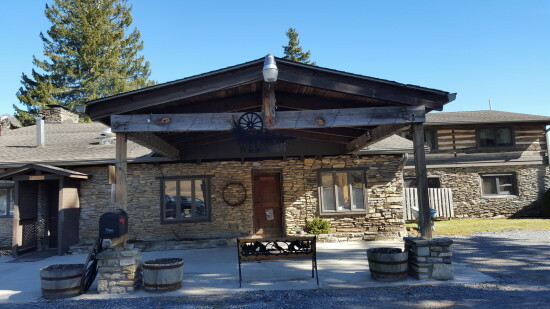 With the abundance of nature at the ranch’s doorstep, guests can hike, fish, horseback ride, bird watch, go for a wagon ride, play lawn games, and ski at the nearby Cataloochee Ski Area. During my short time at the Cataloochee Ranch, I fell in love with the ranch’s history, the surrounding nature, and the Alexander family who so graciously invited us to have a hearty lunch and explore the ranch. After taking in the breathtaking views of the Smoky Mountains and swinging under an old tree, I truly feel that the Cataloochee Ranch just might be heaven on earth! Sunsets are wonderful anywhere, but there is just something about the sun setting over the mountains that makes it even better. Standing atop a mountain peak, watching the sun slowly set behind the mountain range is a moving and humbling experience. From the pastel colored sky, differing cloud formations looming above, and the sun’s rays peeking through the clouds for the last time of the day, I watched as the mountains settled into another night of sleep to recharge itself for another day of beauty. Thankful for the present day and hopeful for the next, a beautiful sunset can mesmerize all those who take a moment to appreciate its loveliness! Haywood County has a rich Appalachian heritage especially in Bluegrass and Mountain Music. The Blue Ridge Music Trail highlights the musicians who celebrate this area’s musical heritage. With numerous award winning Bluegrass musicians, Haywood County boasts several venues to watch live Bluegrass music. Whether at the Maggie Valley Opry House, Hart Theatre, Colonial Theatre, or at local bars and restaurants, music lovers will find toe-tapping live entertainment almost everywhere in Haywood County. 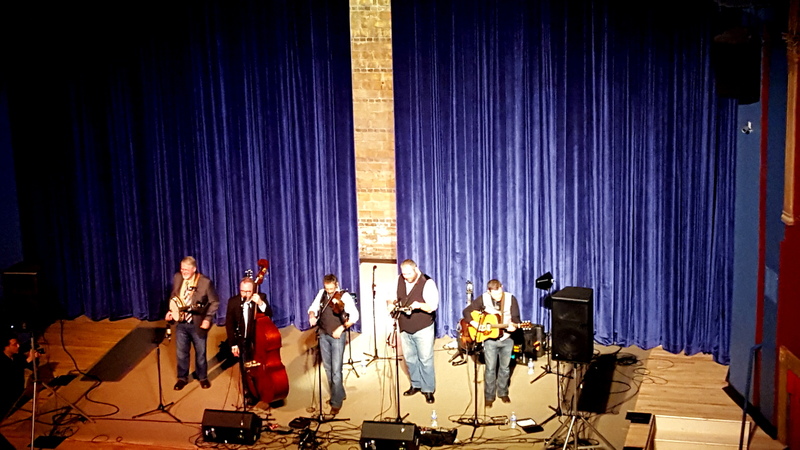 I had the pleasure to watch the Grammy-award winning Bluegrass group, Balsam Range, perform at the historic Colonial Theatre in Canton. Balsam Range, proudly hailing from Haywood County, hosts a Winter Concert Series inviting special guests and opening acts to celebrate the sounds of Bluegrass and Country music. If you are looking for talented musicians, catch a live Balsam Range concert or purchase their music to take the Bluegrass sound with you wherever you go! 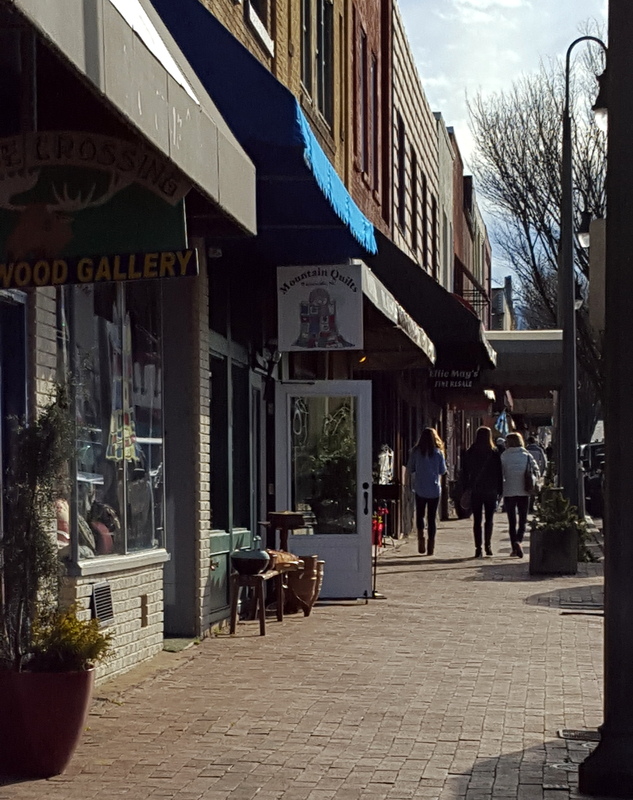 With locally owned boutiques, antique shops, specialty stores, home décor, outdoor gear, bakeries, sweet shops, and art galleries, Haywood County has plenty to offer the savvy shopper. You can find one of a kind items, hand crafted items, nationally known art work, vintage items and antiques at many of the quaint shops throughout Haywood County. Whenever visiting a new town, I love shopping at small businesses and supporting the local economy! A bonus to shopping at small businesses is having locals share their advice about the local hotspots! 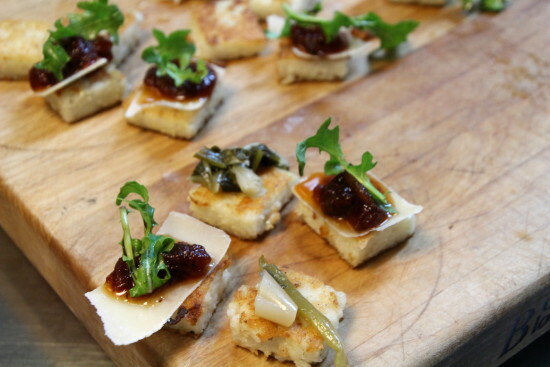 With over 55,000 acres of locally owned and operated farms, and one of the region’s most diverse agritourism destinations, Haywood County has plenty of culinary options for the visiting foodie. With the agritourism initiative Buy Haywood helping to bring local farm products to local consumers, visitors can be sure to enjoy a farm to table meal to satisfy any palate. From family owned farms, U-pick farms, farmers markets, and farm to table restaurants, fresh food and delicious meals are easy to find in Haywood County. One of my favorite farm to table examples in Haywood County is the Copper Pot and Wooden Spoon. 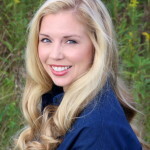 Preserving Appalachian traditions and producing artisan jams, pickles and gourmet spreads from local produce, Chef Jessica DeMarco creates delicious gourmet items that are sold locally and throughout the United States. 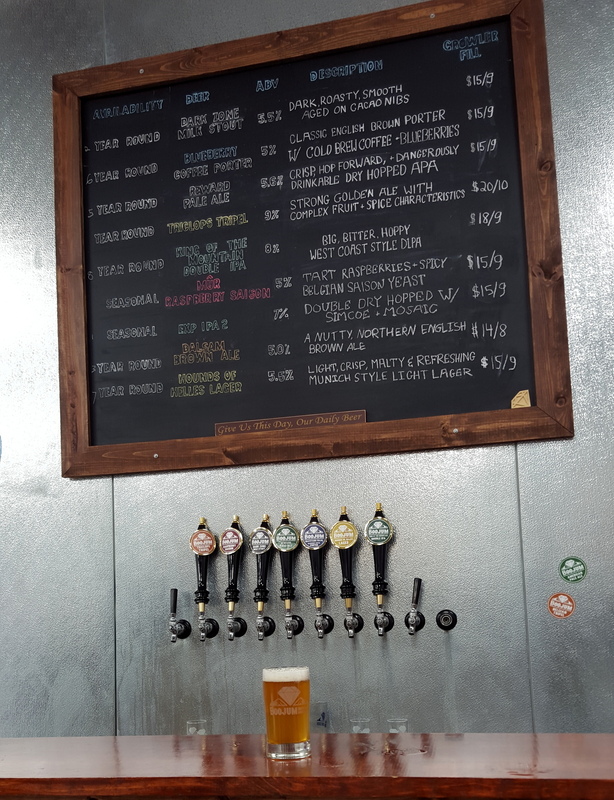 With four unique microbreweries (Bearwaters Brewing, Boojum Brewing, Frog Level Brewing, and Tipping Point Brewing) craft beer lovers will be delighted at the beer varieties offered in Haywood County. Waynesville has the highest concentration of microbreweries west of Asheville in Western North Carolina! So, if you are looking to enjoy a cold craft beer with splendid mountain views, look no further than Waynesville! Each microbrewery features several of their own beer varieties on tap, offer seasonal and limited edition beers, and of course tours and tastings can be arranged to sample the local brews. Whichever brewery you choose to visit, I propose a toast to good beer, beautiful scenery, and the welcoming locals of Haywood County! Cheers! A destination can have beautiful scenery, plenty to do and good food, but what really makes a destination great is its people. Maybe it is southern tradition or the fresh mountain air, everywhere I went the locals of Haywood County were warm and welcoming! There is just something about southern hospitality that makes one feel welcomed and like you have known that individual forever. So to everyone in Haywood County, thank you for your kindness, hospitality, and sharing your history and stories with me! 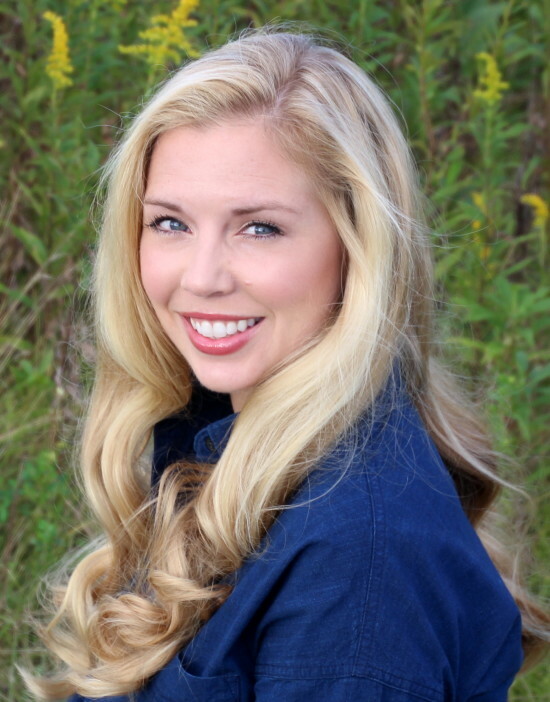 Because of you, I can’t wait to return to the stunning landscape of Haywood County! If you are looking to experience the great outdoors, sample farm to table meals, taste craft beers, immerse yourself in Appalachian history and to have down home southern hospitality, then make a visit to Haywood County, North Carolina! A special thanks to Visit NC Smokies and Visit North Carolina! I was an invited guest of Visit NC Smokies and Visit North Carolina. As always on Ohio Girl Travels, all opinions are my own! 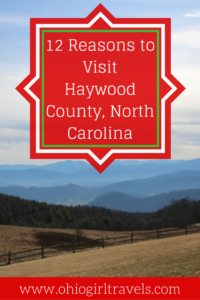 I hope my posts encourage you to visit Haywood County, North Carolina! Thank you for the shout out on Haywood county! It’s my home and I love it! I enjoyed your photos of Shawnee State Park- lived near there as a kid, Enjoyed seeing North Carolina Mtns, in the Fall is even more beautiful in the Blue Ridge Parkway. Now I am in Northern California and the weather is great. Next week going to San Francisco, your photos were inspiring and makes me want to take some more photos as well. Thanks.